CHARMING HOME IN THE MEADOWS AT WORLD GOLF VILLAGE! 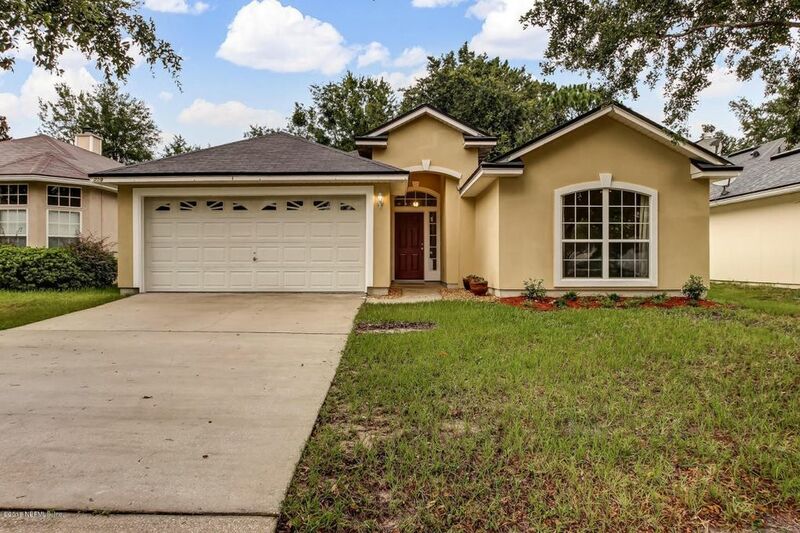 3 Bed 2 Bath Home with 1, 412 sf has freshly painted interior and exterior front! Large Kitchen with Breakfast nook, oversized pantry & Breakfast Bar is open to the Great Room with vaulted ceiling. Dining Room will accommodate large table. Private Owner's Suite with trey ceiling & his/her closets, offers a Master Bath with tons of storage. Guest Bedrooms have large closets and share Guest Bath. Spacious backyard with privacy fence and patio is a perfect spot to grill out or enjoy wonderful evening breezes. Location cannot be beat! Close to A-Rated Schools, shopping and a short drive to historic downtown or the beaches! LOVE WHERE YOU LIVE! Directions: Exit 33 from I-95 heading West. Turn Right on Pacetti then right on Mackenzie, home will be on the right.